MANILA, Philippines - The Philippines currently has the 10th fastest growing economy in the world in 2017, according to the World Bank’s latest edition of Global Economic Prospects. The country’s economy is expected to advance between 6.5 to 7.5% in 2017. This figure is almost twice the country’s long-term growth. Based on the data of Tradingeconomics.com, the country’s annual growth rate averaged 3.68% from 1982 until 2017. It reached an all-time high of 12.4% in 1998 and a record low of -11.1% during the first quarter of 1985. The Philippines’ vibrant economy is said to be brought about by a stable macroeconomic environment of low inflation and low debt to GDP ratio helping it sustain a healthy domestic demand growth. Moreover, the revival of the Asian Pacific region have boosted exports accounting for almost a third of the GDP. As of April 2017, exports from the Philippines amounted to $4.81 billion, which is a 12.1% increase from last year. 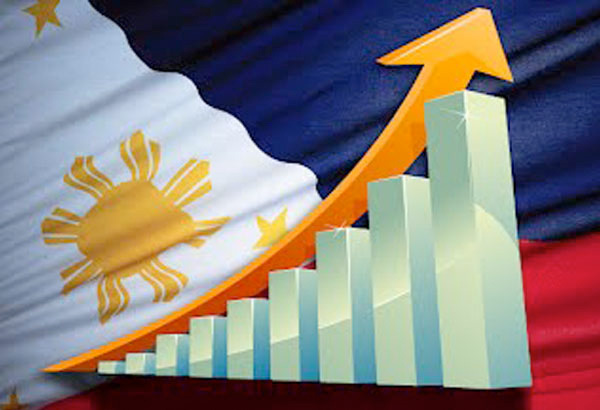 In a recent report by the International Monetary Fund (IMF), the Philippines is projected to have the fastest economic growth in Asia for the next two years amid the expected stronger global economic recovery. The projected growth for the Philippines in 2017 is faster than China’s (6.6%), Vietnam’s (6.5%), Indonesia’s (5.1%), Malaysia’s (4.5%), Thailand’s (3%), Singapore’s (2.2%) as well as Taiwan’s (1.7%). Still, Forbes.com pointed out that hard working Filipinos remain poor despite the Philippines’ fast growing economy since corruption persists. “Those who have followed the Philippines economy for a long time have seen a familiar show: hard working Filipinos remain poor, watching the people of other nations in the region get rich. Revolutions come and go in Philippines, but the old villains -- corruption and political oppression -- remain intact, holding Filipinos back from making the transition from poverty to riches,” Forbes wrote.